6 Out Of This World Classic Rock Songs You Must Listen To While Watching The Historic Solar Eclipse! Tune In, And Drop Out! Today, the earth will experience something that hasn’t happen in almost 100 years! A total solar eclipse will stretch across the continental United States for the first time since June 18th, 1918. This rare occurrence is something you won’t want to miss, so we figure the best way to celebrate this historic occasion would be to recommend a few songs you might want to play during the eclipse! All of these space, sun, or lunar-themed songs will enhance the experience and allow you to tune in and drop out while you enjoy science! If you are going to watch the eclipse, please wear the proper NASA approved glasses. Trust me, you don’t want to be “Blinded By The Light,” which is the perfect tune to play as the moon crosses over the sun! The synths that Manfred Mann’s Earth Band play on this will serve for a great compliment to the sun’s movement! This is a great song to start the eclipse off with! So, as you start to see the moon approach the sun, pop in Elton John’s “Don’t Let The Sun Go Down On Me!” The melancholy feel of the song will welcome the darkness, but also bring the excitement for what you’re about to witness! I mean, you’re literally going to experience watching the sun go away in the middle of the day! It’s only appropriate that you crank this tune and enjoy the moment! As the moon gets closer to the song, it’s only right that you crank CCR’s classic “Bad Moon Rising.” You’re literally going to see the moon rise, and block out the sun. If that doesn’t encapsulate the whole “bad moon” theme, I don’t know what does! Since you’ll be seeing a bad moon rise, you might as well take advantage of the moment and enjoy it with some CCR! As the moon begins to consume the sun, pay homage to the master lyricist that was Chris Cornell, and blast Soundgarden’s “Black Hole Sun.” The song is basically about darkness consuming something, which is exactly what will happen during the eclipse! This is the perfect song to play right as the moon begins to block the sun! This song is basically being unofficially branded as the theme song for the total eclipse. Bonnie Tyler is actually set to perform “Total Eclipse of the Heart” during the actual eclipse! If you aren’t able to watch her performance, you might as well just play the song on your stereo for yourself! We recommend turning this tune on right as the sun is about to be completely blocked, because during the eclipse itself, you’ll want to play this next badass tune! Did you expect anything different? Is there really any other choice? If we’re being honest, you might want to skip over every other song we mentioned, and just play The Dark Side of the Moon in its entirety! Seriously, if you aren’t playing this tune when the sun is fully blocked, you aren’t a true classic rock fan! 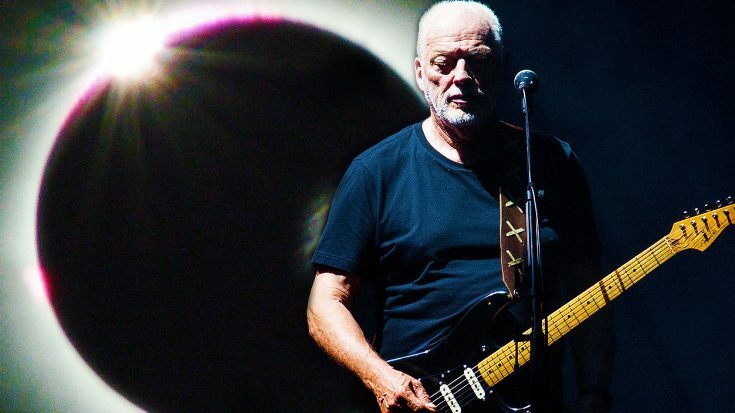 Pink Floyd’s “Eclipse” will serve as the perfect song to tune in and drop out to while you experience this historic, scientific, astrological event. If you time it right, this will be an event you will never forget! The eclipse is set to begin on the west coast at a round 9 am PST, so get your playlist ready and enjoy!